With cold and flu season upon us, many parents will find themselves wondering how to best comfort a sick child. Although it's difficult to watch a child struggle with coughing fits, a recent report from the American Academy of Pediatrics urges parents and healthcare providers to think twice before giving cough syrup with codeine to children under 12. The report echoes past recommendations from the Food and Drug Administration (FDA), World Health Organization, and European Medicines Agency. Codeine is a type of opiate painkiller with antitussive effects. It was once commonly used as an ingredient in over-the-counter cough syrups and is still available in many prescription cough syrups. Codeine is also prescribed by dentists and after certain surgical procedures. Codeine is considered a prodrug. It has no effect on the body when it's first taken, but it will eventually be metabolized as a morphine derivative after interacting with enzymes in the liver. This reaction is responsible for the drug's active effects. 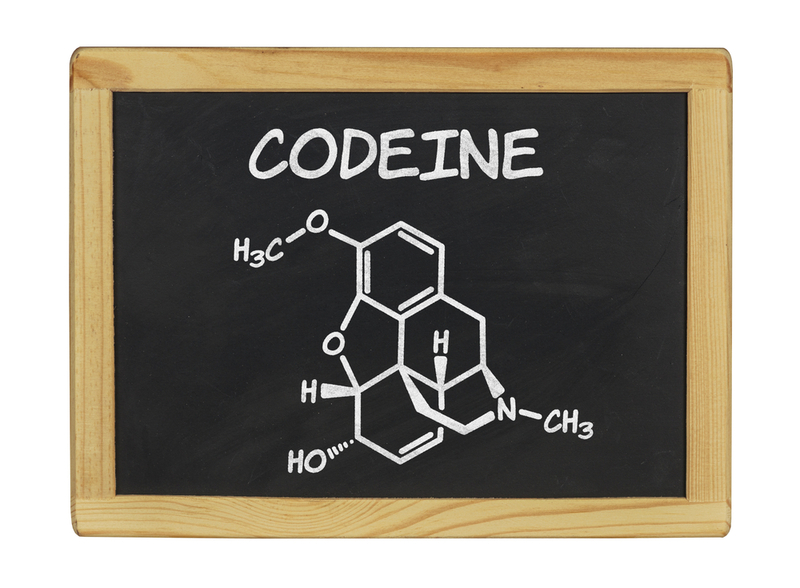 What Problems Are Associated With Codeine Use? Codeine's popularity over the years has been due to the fact that it was once widely considered an effective and less addictive alternative to other opiate painkillers. However, there is evidence that codeine is not as effective at treating pain as previously thought. A genetic variation makes codeine an ineffective painkiller in as many as one third of all patients. The biggest danger associated with codeine is drug-induced breathing difficulties. Some people have a rare genetic variation that causes them to metabolize codeine too quickly, resulting in difficulty breathing and excessive sleepiness. In severe cases, this can result in coma or death. An FDA review of records from the past five decades found 21 codeine-related deaths in children under 12 and 64 cases of severe breathing problems. Although this represents a very small number of the children who were prescribed codeine during this time frame, the drug's minimal benefits simply aren't worth the risk. Overweight or obese children with sleep apnea are at the highest risk of experiencing codeine-related side effects, but adverse reactions can appear in any child regardless of past medical history. Is Codeine Safe for Teens? The majority of codeine safety warnings have focused on the drug's use in children under age 12. Young children process medications differently than adults due to their smaller size and because their bodies are still developing. To date, there is no official guideline restricting the use of codeine in teens. However, some experts have recommended that codeine not be given to children ages 12 to 18 with asthma or other breathing difficulties. What Should Parents Do Instead? Instead of using codeine to comfort a sick child, pediatricians now recommend sticking to the appropriate dose of children's acetaminophen or ibuprofen. Popsicles and ice chips can be used to alleviate pain from a sore throat. However, simply encouraging children to rest is often the best way to help them get over their illness. Is it Malpractice If My Child Experiences an Adverse Reaction to Codeine? Establish that a doctor-patient relationship existed between the defendant and your child. Prove the doctor was negligent in prescribing codeine to your child based on your child's past medical history and the known risks associated with the medication. Demonstrate that the doctor's negligence caused your child's injury. Prove that your child's injury led to specific damages such as the need for a hospital stay or additional medical treatment. Malpractice claims are considered complex litigation, so it's best to consult a personal injury attorney to explore your options regarding your child's case. Louisiana law states that medical malpractice lawsuits must be filed within one year of the date of the alleged malpractice or the date the alleged malpractice was first discovered. To learn more, please contact Neblett, Beard & Arsenault for a free, no-obligation case evaluation. You can also call us directly at 800.256.1050.